T-Mobile will allow existing T-Mobile users the opportunity to pre-order Motorola's Cliq on October 19th. For Google and its mobile platform, Android, things are looking up even as mobile competition continue to heat up. But with Cliq sporting the similar specs as the one-year old G1 but sporting a new social skin, MOTOBLUR, potential slugginess and low battery life might be issues that users aren't going to be happy about. I know, I know. There I go again with the battery life. However, Android is a mobile platform and we need to expect modern devices to demonstrate some sort of stamina when it comes to supporting our mobile computing needs. As a mobile user, I'm excited by the competitive mobile landscape. 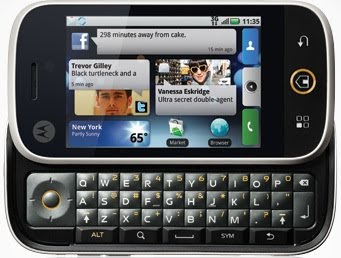 Over at On Android, I get a word about the Motorola Cliq. If you're in the market for an Android device, head over and see if the Cliq is right for you.